Capsule elevators give an additional eye catching look to a modern building and act as architectural highlights of the buildings. They act like the ornaments of a building for they enhance the beauty and bring life in it. 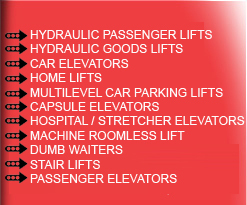 We provide capsule elevators for Hotels, Apartments, shopping malls etc. 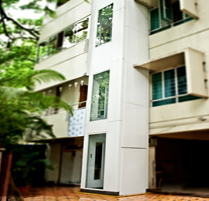 We provide all types of capsule lifts having ultramodern design to provide a cosmic zone experience to the passengers. The design provides an extremely silent operation. It is also reliable and economical with minimum maintenance. The VVVF close loop microprocessor controller incorporated with the system makes the whole operation very sophisticated.